Miniature enamel painting. 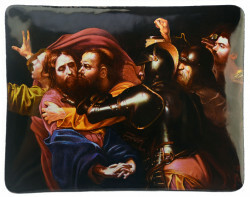 A handmade copy of the same title painting by Caravaggio. Pigments of ink are immersed by hand in the enamel under the action of heat. 19 layers were applied and fired separately. 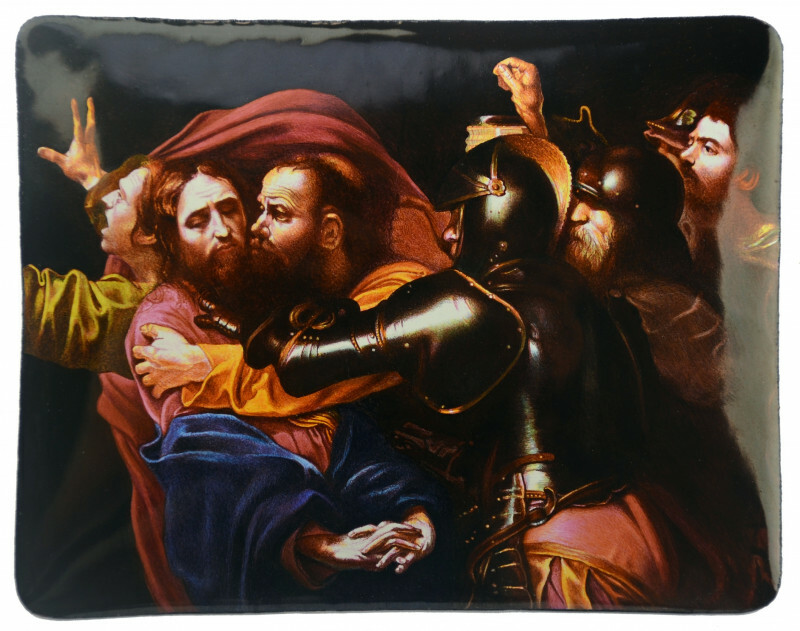 'The Taking of Christ' (Italian: Presa di Cristo nell'orto or Cattura di Cristo) is a painting, of the arrest of Jesus, by the Italian Baroque master Michelangelo Merisi da Caravaggio. Originally commissioned by the Roman nobleman Ciriaco Mattei in 1602, it is housed in the National Gallery of Ireland, Dublin.